Was meant to Write a while back but I loved it. Great verity of sweets I have returned many times after. 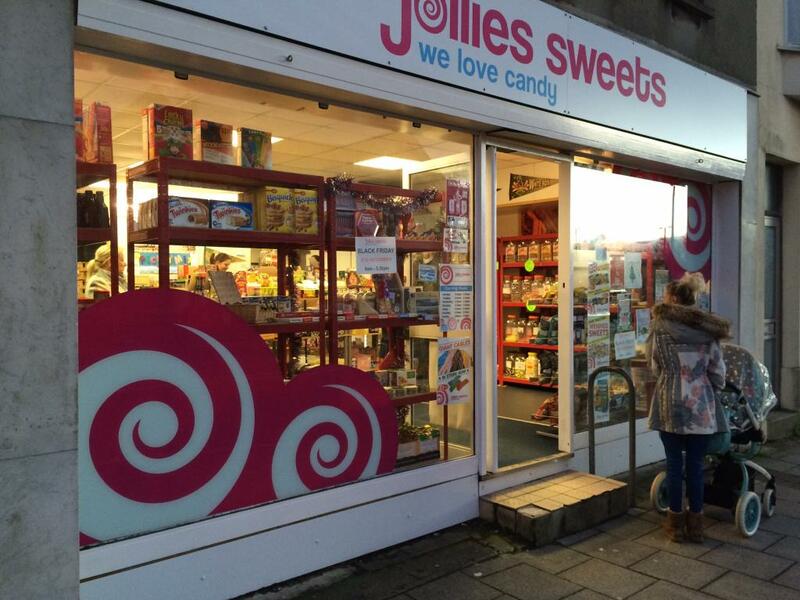 brilliant shop, the owner is great and all confectionary is sold at affordable prices! great addition to the village as it bring much life to the area with its fun promotions and beautiful displays! Shelves and shelves of classic American Candy. Lovely surprise for children's parties. Reeses chocolate candies are our favourite. Not bad as a suburban sweet shop. Better I think than the place in the Royal William Yard. Has a large amount and some varieties I hadn't seen before but so far I haven't discovered anything delightful tantalising or unexpected. Good range of sweets. Everything you could need from american to local sweets. Good prices too, very competitive with other companies. Would definitely recommend to family, friends and others. Perfect place to get those Christmas stocking fillers? Excellent shop. Brilliant range of sweets which will bring back memories from your child hood whilst also experiencing new sweets. Best prices I have ever seen on retro sweets. And Good customer service. 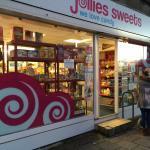 Get quick answers from Jollies Sweets staff and past visitors.